Helicopters which fly overhead all too often, reminds me that the death toll of our youth is steadily rising. The yellow tape which cordons off areas in my neighborhood, confirms this unfortunate reality. Thus, I am saddened but not surprised to have to call upon the memories of countless African-American males. 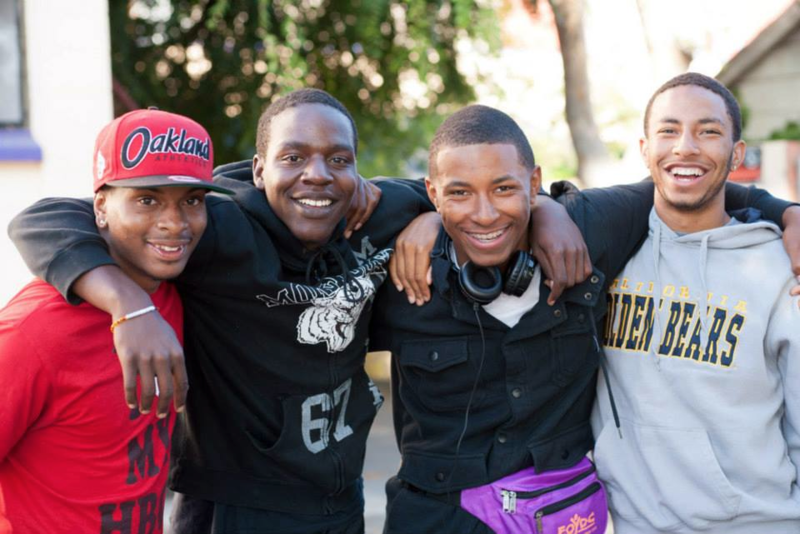 For, countless African-American males have tragically perished across this great nation since my first article, "Oakland is my beach" was originally published back in 2014. This article introduced UC Berkeley-UCSF Joint Medical Program graduate student Stephanie Fong's master's thesis on identity formation among young men of color in East Oakland. My expertise in youth development has shown me what studies on the subject confirm; strong, positive identities are directly related to decrease risky behaviors, anxiety and depression. However, qualitative research exploring identity and identity development through the eyes and voices of young people themselves is scant. I jumped on this unique opportunity because I saw the endless possibilities that might come from asking our youth to consider the roots of their obstacles, opportunities and the correlation between the two. My experience in the field has also confirmed that we as adults assume too much too often. In many ways, we develop solutions without ever pinpointing a problem. We must realize that our life experiences are not necessarily a valid substitute to their individual or personal experiences, and assumptions reduce our ability to empathize or communicate effectively. We must listen! That's why this study is so magical, it shows youth perspective from the first person. This idea of making the students themselves, the subject matter experts gives voice to these youth and their everyday battle of perseverance. The overall atmosphere of this project and the conversations it produced were described by the participants as therapeutic; a rare opportunity to decompress and speak and think freely. For a brief moment, their true thoughts and feelings were being valued and discussed in a positive setting with people who cared. They entrusted us with their stories of pain, torment, resilience, and redemption. They divulged their bewilderment at the blatant dehumanization they experienced on a daily basis simply due to their high melanin content. Everything from being followed around in a clothing store, to being refused service in a restaurant, each young man had several experiences they could recall at the drop of a hat. We touched on the issue of hair and the reaction their longer hairstyles elicit -- like somehow dreadlocks are synonymous with thug life. They described their frustration at how the superb command of the English language somehow suggests they couldn't be from Oakland. While having a strong sense of self helped them to resist internalizing all the negativity, continually being prejudged takes a toll on their daily lives because they constantly have to adapt the expression of their identities to survive. They are greatly, if not gravely, impacted. Their stories are varied, but they are aligned in their struggles for survival, success, and self-worth realizing the respect they have for themselves as well as the respect they deserve and command from others are of the utmost importance. Despite the challenges they face daily, they take pride in their multifaceted identities that are as diverse, gritty, and beautiful as the city they hail from. It is clear that no matter the struggle, these young men are united in having their spirits bent not broken. All the bullying, assumptions, and stigma are seen as incentive to work harder, dig deeper and be better. Given the moral climate of the nation, this topic generated so much interest that Stephanie's work was selected for presentation at the Annual Meeting of Public Health Association (APHA) in Chicago. Regene Ross, a public health official once told me that, "Some professionals wait their entire careers to have an opportunity to present at APHA". Helping to develop the presentation, our young men stressed that it must underscore how they define their own identities rather than how they're branded in the media. Further, they wanted people to understand the impact pre-judgments and discrimination have on their daily lives. Public health professionals responded enthusiastically after the presentation, suggesting that the work be replicated in cities across the nation. However, even at the event, the societal assumption could not be avoided as one person suggested that the presenters were simply too posh to be from Oakland. A sobering, yet very telling moment. Over the holidays, our youth research experts hosted a gallery opening at the East Oakland Youth Development Center (EOYDC). Scores of proud young men and women of color from the local community were mesmerized as the students shared their experience from the research project. I was told of an atmosphere of enthusiastic smiles, fists bumps and all around community joy. There is hope in my hood! Our young scholars presented a second exhibit hosted by UCSF Benioff Children's Hospital Oakland. These champions for youth were determined to insure that professionals in the community understand their plight and the drastic effects it has on their health and our community as a whole. All were challenged to identify what they could change in order to be more supportive of the men of color they knew. We know that the adjustments they make to make others feel comfortable from avoiding wearing hoodies even when it is cold outside to constantly monitoring their social and cultural environment and adapting their behavior -- creates a burden no young man should carry. Further, cumulative stress has very real physical and psychological consequences. The code-switching and constant compromises of person they must endure are immeasurable psychological challenges. These real life issues stack the trauma and stressors. How can we help them not only survive, but thrive? place-based support systems and outcomes." A unique space exists in deep East Oakland. In a neighborhood with rampant drug infestation, prostitution and violence, there is a real life oasis called the East Oakland Youth Development Center (EOYDC). 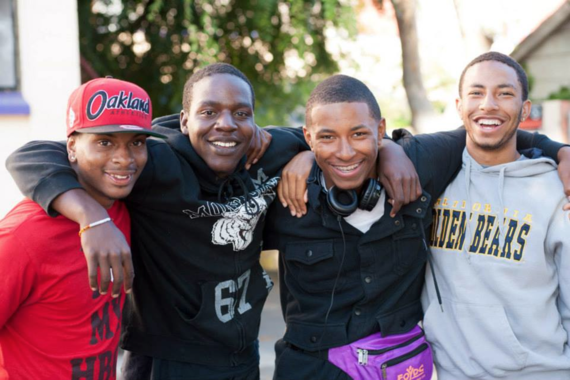 At EOYDC youth are introduced to and surrounded by a culture of brotherhood, the concept that they are "my brother's keeper." It's a way of thinking. They are all flying to the same destination, that place which is called success. Inside this bubble, they receive the recipe. While that recipe differs from person to person; it always includes a cup of hope, tablespoons of love, mixed with hard work ethic, respect and community service stirred in a pot of skills and training. They participate in classes, lead interactive conversations, and share experiences which include their hurdles and opportunities. These affirm the idea that they, as a group, are vital to each other's progress, which builds their resilience, encourages their dreams and empowers their goals. toward a different and better tomorrow.